Marana is the type of town that never gets old. You’ll never tire of seeing the “same old scenery” because nature’s bounty is plentiful in this area. There are trails abound and innumerable things to see and do every day. Among the top of the list for many locals is Ironwood Forest National Monument. Named for the longest-living trees in the Sonoran desert, Ironwood Forest National Monument offers you 129,000 acres just waiting to be explored. Ironwood National Forest Monument contains a significant number of cultural and historical sites dating back as far as 5,000 years. The area is comprised of a combination of desert mountain ranges – Silver Bell, Waterman, and Sawtooth – with incredible desert valley between the peaks. Elevation varies from about 1,800 to 4,261 feet, depending on location. This area is also home to diverse wildlife, such as pronghorn and mule deer, as well as desert big horn sheep. With 5,000 years of history behind it, Ironwood National Forest Monument certainly deserves a place on the National Register of Historic Places. In fact, this region holds the title for three different areas. The Los Robles Archeological District. Dating back to around 1150 and 1300 CE, this area is comprised of villages that once housed an extensive Hohokam community. The Mission of Santa Ana del Chiquiburitac. Built in 1811 and added to the National Register of Historic Places in 1975, the mission was once a thriving village, filled with a bustling economy. The Cocoraque Butte Archaeological District. This site also houses ancient Hohokam ruins, in addition to hundreds of well-preserved petroglyphs. The area is not yet built out for visitors. As such, some of the roads and terrain can be a bit rough. Certain areas require high-clearance or four-wheel-drive vehicles. If you’re planning to visit this park, it’s best to come prepared with a rugged vehicle that can stand up to the multiple tests the great outdoors can divvy out. Visitors’ facilities, restrooms, and trails have not yet been constructed, so this is the perfect outing if you’re looking for an adventurous weekend in the wilderness. Natural beauty abounds in Marana, Arizona. If you’ve never lived in a home surrounded by nature’s beauty, it’s time to look for a customizable luxury home that puts you right in the center of everything that makes life great. Get it touch with our team at The Ritz-Carlton Residences, Dove Mountain so we can start making your dreams come true! At The Ritz-Carlton Residences, Dove Mountain, you may select from eight custom home floor plans to suit every need and lifestyle, but these suggestions may only be a starting point. Collectively, your wishes combined with the expertise of the competent and creative design staff, allow your residence to emerge as your very own distinctive home, reflecting your family and its lifestyle. Luxury custom homes in The Residences range from just under 1,700 to nearly 5,500 square-feet and are available in two neighborhoods. Finding out whether it is just right for you begins with a call: 877-451-7205. 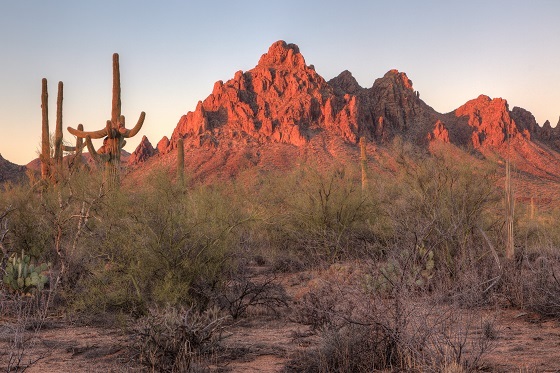 Named for the longest-living trees in the Sonoran desert, Ironwood Forest National Monument offers you 129,000 acres just waiting to be explored.